If you know where to look, you can learn a lot about what a trading card company is thinking behind closed doors. Resources are available that let you see into the future and discover what new products trading card companies are developing. A great, and unexpected, source of information is the United States Patent and Trademark Office (USPTO). This is because most companies protect their future products before rolling them out. Also, if a company spends a lot of time, effort and money in procuring protections for its products, those products are likely very important to that company. The USPTO's trademark database is a good place to start. If a company develops a new product, that product needs a name. Product names can be protected as trademarks. The way to get the strongest protection for a trademark is to register it with the USPTO. Registration takes time, so if a company wants to launch a product that would be protected from day one, the trademark needs to be submitted to the USPTO prior to launch. To get a registration, companies must first file trademark applications with the USPTO. Once filed, these applications are publicly available and can be searched from the USPTO's home page. Once on the home page, go to the TRADEMARKS section and select “SEARCH MARKS." Using this database, you can do a search for “TOPPS" as the owner of a trademark. 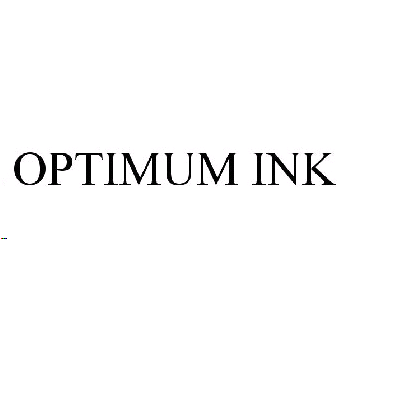 The results will show that on June 23, 2011, Topps filed for a trademark for the phrase, “Optimum Ink" for use with trading cards. Granted, this filing has little description, but what you can figure out is Topps may be preparing to unveil a new product, or insert, called Optimum Ink. Will it focus on autographs? If so, will it be for sports? Entertainment? Tattoos? Just kidding about the last. I hope. While this application creates more questions than answers, it gives a glimpse behind the company's corporate doors. And, as of now, it is only a potential future product. Product names can change and, sometimes, products get canceled before they debut. So, at best, this filing shows Topps is thinking about rolling out a trading card called “Optimum Ink." Not only can you research new product names, the USPTO website also allows you to search for inventions that companies believe will be important. You can search issued patents, or filed patent applications. Unlike trademark applications, which appear on the USPTO website as soon as they are filed, patent applications take longer to process. In most cases, it's a significant lag. It's not unusual for new patent applications to take as long as 18 months to reach publication. Then, once it's published, it could take years for a patent to be issued, if it's issued at all. For example, an Upper Deck patent was just issued in June, 2011 that was originally filed in 2005. This Upper Deck patent is entitled, “Interactive Game System With Computer-Animated Game Pieces." It focuses on a computer game with remote-controlled game pieces that battle each other. Obviously, it is not a sports trading card patent so I won't bore you with much more analysis. However, it is a good example to show how you can keep current with new patents from trading card companies. More relevant to the trading card world is a Topps patent that was issued in September 2010 entitled, “Method and apparatus for offering for sale collectibles on primary and secondary markets." The patent can be found here. This patent is interesting for two reasons. First, while the patent was filed in January, 2000, it wasn't issued for ten years! Second, this patent appears to cover the eTopps process. Obviously, this is not a new product (it has languished at the USPTO for ten years), but it does show that Topps believes the eTopps system is valuable enough to fight for ten years to get a patent to protect it from infringers. While this patent does not tell you about a new product, it does tell you that Topps believes this product is important and likely would defend it in court. As you can see, if you want to look into the future and/or learn about the inner workings of your favorite card company, there's an unexpected resource available to you: the USPTO. And since the filings come directly from the company, they are better than hearsay--but, I think we'll save hearsay for another time.